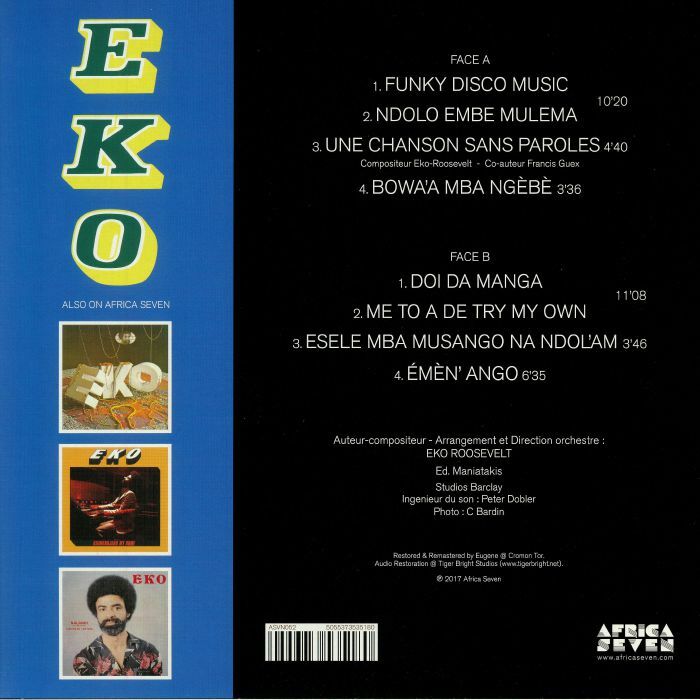 EKO Funky Disco Music vinyl at Juno Records. A veritable French fusion institution; classically trained Cameroon musician Eko Roosevelt Louis was responsible for a catalogue of exciting jazz funk, disco and afrofunk records throughout the 70s and remained active touring Europe until the 90s when he returned to Cameroon to inherit the role as tribal chieftain from his grandfather. Released in 1979, Funky Disco Music was his third album and packs some of his most powerful compositions. The triumphant title track says it all; laidback, charming and full of positivity it sets the scene for the whole trip. Highlights include the rock-tinged soul chugger "Une Chanson Sans Paroles", the highlife uplift of "Doi Da Manga" and the smouldering showstopper finale "Emen Ango". 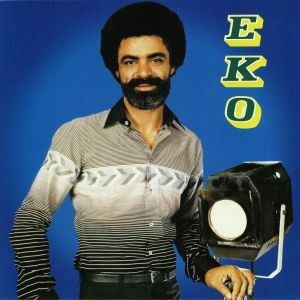 Dig deep and enjoy... Africa Seven promise more Eko reissues in the near future.